In typical fashion, my problem-solving brain starting thinking up a solution. 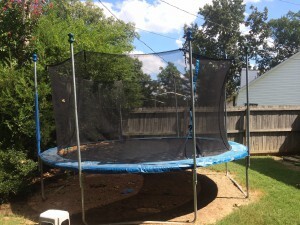 I’ve retied a couple of the other straps that had broken, but this was a much bigger problem that had to be overcome in spite of the strap system that came with the trampoline. I turned to, where else, the big-box hardware store. I wanted to use these bungie straps that are essentially an elastic loop that end in a plastic ball (picture below). 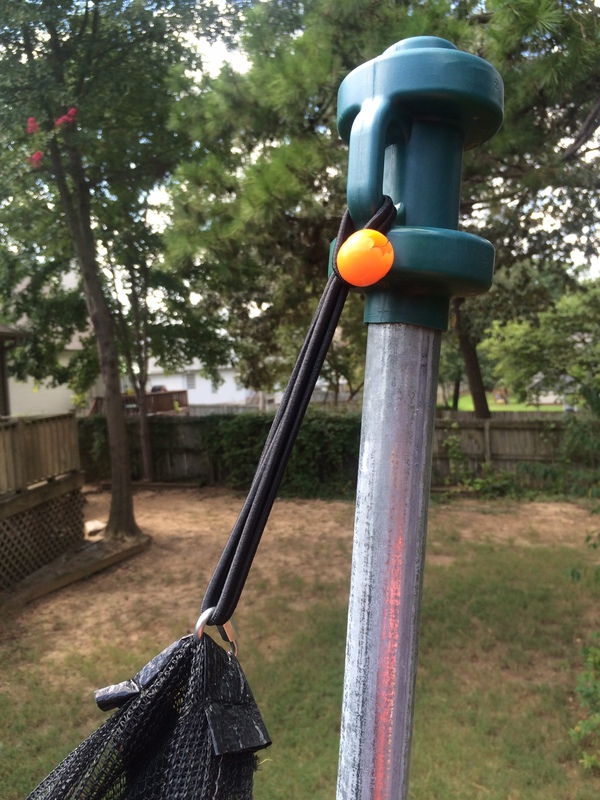 I love these things and use them regularly to secure items in the back of the truck. These were going to replace the stretchy straps, but I stll needed a way to connect them to the net. 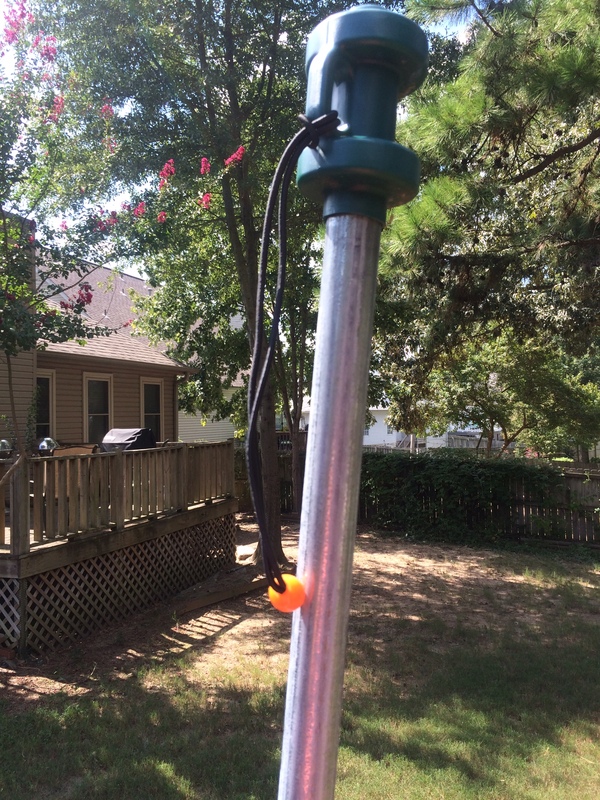 For that, I first wanted to use carabiners, but they are expensive. Right next to those I found the quicklink. A oval shaped metal ring with an opening that can be closed via a locking twist sleeve. These came 3 to a pack and were much more cost effective. Now it comes down to putting it all together. 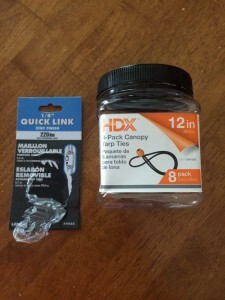 It started with the quicklinks. 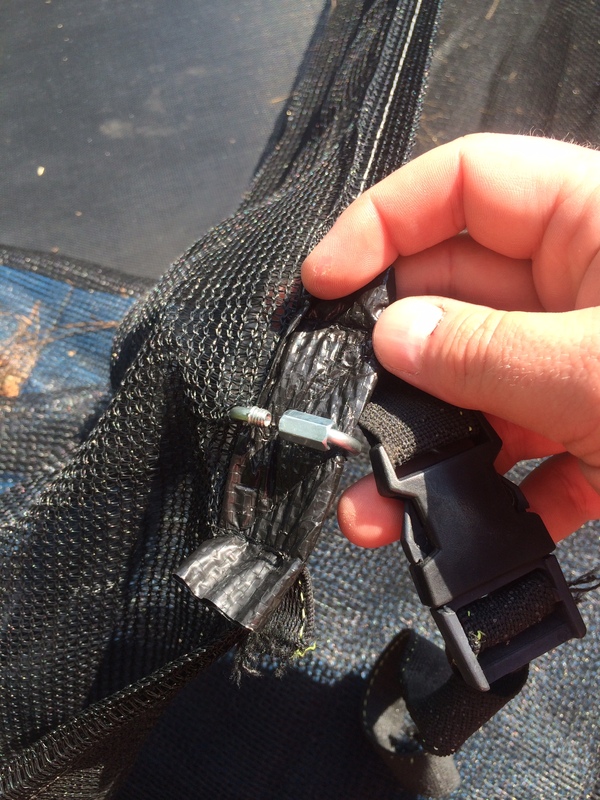 I wrapped them around the heavy-duty anchor points where the original straps were attached – being sure to leave the gap open and on the inside. I did this all the way around the net. 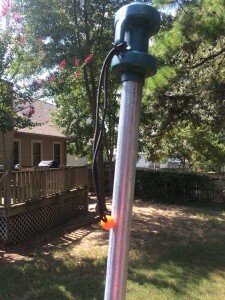 Then, I attached the bungie cords to the poles by looping the balled end through the loop and then through the gap in the quicklink and then back up to the pole – putting the balled end through one of the securing loops and finally pulling everything tight. 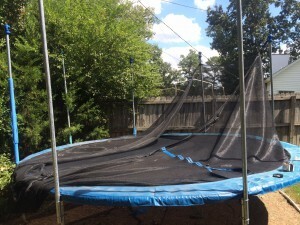 Then it’s just a matter of walking around the trampoline and repeating the process until the net is back in business. Great! 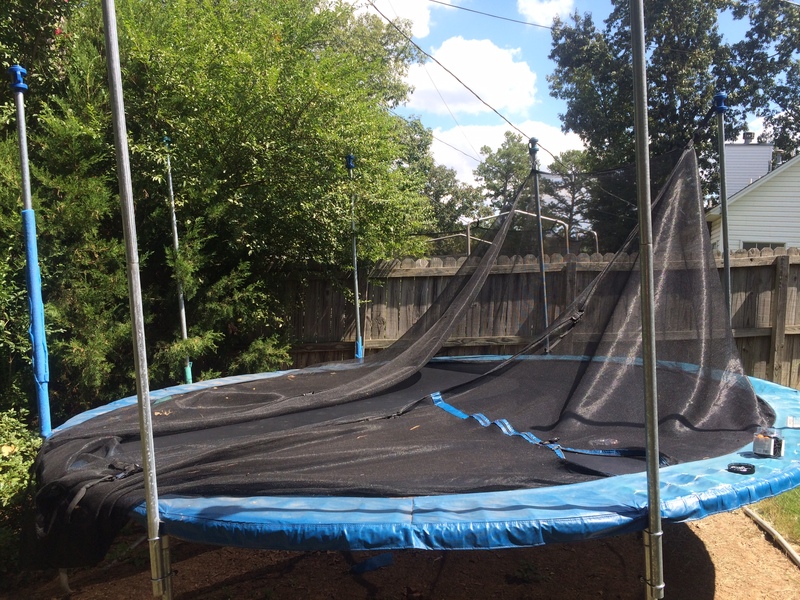 Our trampoline’s safety net was broken as well and I don’t know how to fix it. Thank you for sharing this amazing tip.